Today’s Mother’s Day giveaway is brought to us by 1800Flowers. 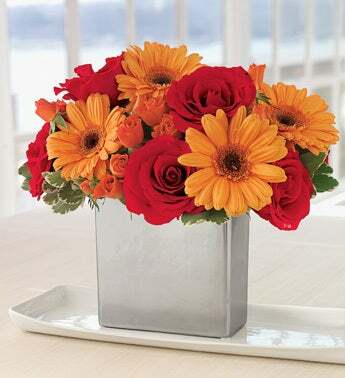 1-800-Flowers is one of the best ways to honor Mom for Mother’s Day, why? Because it’s so easy and they deliver everywhere. I’m in love with them right now because they honored me for Mother’s Day, asked me to host a giveaway and let me honor another Mom Blogger. I chose Robyn from Robyn’s Online World. Why? Because she is another mother that does it all just like me but she makes it look even easier than I do. Her blog is about her, taking care of her family, and products that her family uses. Like me she doesn’t classify her blog into any certain category, we both blog about what we fancy that day. She is better at using the word no than I am and I admire that in her. I had the opportunity to meet her and her son on one of the Blogging Trips I went on. He is a very well mannered teen and it was a pleasure and delight to meet them both. 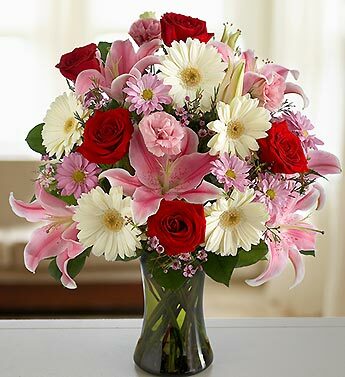 1-800Flowers.com has a Mother’s Day Gift Center. There you will find lots of ideas on what to get for Mother’s Day. You can even choose by what kind of mother you are shopping for. I find myself to be in the new mom category. I’m still pretty wet around the ears when it comes to being a mom, most things I learn from trial and error but they are the world to me and I love being a mom. That’s why I was hoping to bring my readers a month of Mom Giveaways. 1800Flowers also has a blog written by Julie Mulligan, a weblog by lifestyle expert. She is featuring mommy bloggers for 1800flowers and I was her feature on April 6th. I was the first mom to be spotted this year and I’m so excited about being featured on another blog. I’m not sure that’s ever happened before. You can read about The 2010 Spot a Mom Movement. Thank you Julie for that wonderful article and Thank You to 1800flowers for the lovely flowers you sent me. One of My readers will get a copy of Celebrating Mom and a $75 gift certificate to use at 1-800-Flowers. Tell me about your favorite Mother’s Day. My favorite mother’s day was my mom’s last one. I came home from college as a surprise, and videotaped everything so I could have it to play for my (future then, current now) son. Favorite mother’s day was when I took all of her favorite recipes and entered them into MS Word fully indexed and then had it printed and bound (with copies for family and friends). She still has her original, not stuffed with additional recipe cards and clippings. Time for a second edition. I would have to say my favorite Mother’s Day was my FIRST one and most memorable…not because it was the BEST, but I remember being SO proud sitting in church with my first daughter. I actually cried when we sang and got all emotional when the minister acknowledged all the Mom’s. It was strange because when you have a child not OLD enough to CALL you mom yet, it sometimes felt almost strange to think i WAS a mom. It was, and IS the greatest privilege EVER and I will never forget that feeling. THAT was 29 years ago, and since then my 6 kids have always made me feel very special on Mothers’ Day and I have been so proud to be Mom to all 6 of them. Since having my first, I have tried even more to be more thankful to MY mom, who is now 78. Motherhood changes you and after this your OWN mother seems just SO wise, strong, and courageous! I had been gone for 6 months in Europe working and I came home to surprise my mom. I pulled out a poem I had written her in the 8th grade and gave her a sweet calendar with photos of us for her to look at when I’m not at home. L-O-V-E her! comment on local spa post. Well, my Favorite mother’s day is when the kids all color me a card, make lunch and clean up after themselves… then it’s a great mother’s day! I subs to your blog. Last year was awesome. I was just finishing chemo, so my family put together a special brunch just for me! My favorite Mother’s Day was my first Mother’s Day. My son has enriched my life since the day he was born and Mother’s Day is another day to celebrate our family. This is the “Mother’s Day” that we treasure, and the giveway flowers would be for my niece, from her little newborn daughter! Mine was last year my little girl made me her first homemade card and it so cute it said I love you and it just melted my heart! My favorite Mother’s Day was when my niece suprised me with a vist. She lives out-of-state so this was a real treat to see her. We spent our time together shopping and going out to eat on mother’s day. My favorite Mother’s Day was last year when it was the first with my triplets. It is just so special to be a mother and it was a great day to just be together. We used to have great cookouts for Mother’s Day. I miss those! My first mother’s day was my favorite- my first child was born! My husband makes every mother’s day special. Breakfast in bed, or a whirl wind day out. Each time is perfect. When my now 23 year old son was in 1st grade and drew picture of me with orange skin. My favorite mother’s day was when the kids made breakfast in bed for me – bread pudding, omelettes and french toast! THey really went above and beyond anything I expected! When my kids were little and we were broke and my hubby took the kids to the Dollar store to buy gifts! I still have them! Ceramic heart picture frame, ceramic heart box with flowers on it and a ceramic birds kissing. I display them proudly! #1 I added to my Technorati favorites! #2 I added to my Technorati favorites! My fave was Mothers Day 2000. I had been going through a really tough time in my life. That year my brother and sister-in-law gave me a 3yo VW Jetta free and clear. On top of that they gave me $5k. I still drive that car today! My favorite Mother’s Day was the last one I shared with my Mom. All us girls (Mom, my sis, her 2 girls, my daughter and I) went to lunch and spent the day together. We didn’t know it was the last Mother’s Day we would have with her of course and it means the world to me now. Every Mother’s Day is my favorite because it means I get a day off. My favorite Mother’s Day was when my 5 year old daughter interpreted a beautiful song in American Sign Language. I had a tear in my eye and was so very proud of her…oh, I am a teacher of the Deaf. My favorite mothers day is actually a series of them from about 9-16 years of age. My sister and I would go with my mom and grandma to my grandma’s church. It was a special Mom and daughthers brunch. My grandma always so proud of us girls and there was always good food. My fave was the one where I took Mom and Gram to a small restaurant for lunch. We had a great time and I heard stories from Gram that I hadn’t heard before. One of my favorite Mother’s Days was when I created a special breakfast tray for my mom which is now hanging on her bedroom wall. I tried to find a picture of it to post here, but I think it’s trapped in my old laptop. Anyway, my mom loved it, and I loved that SHE loved it, LOL!! I follow you on Twitter, and my ID is Luvkitty. My favorite mother’s day–the one before I had my daughter when I actually began to feel like a mother since she was born a little over a month later. One of my favorite mother’s days to date was telling my family that I was pregnant with our first baby…they were in shock but so thrilled! My favorite Mother’s day was my first because I had waited a long time for my little girl and was blissfully happy. I must be really exhausted because I can’t even remember any Mother’s Day memories! Wow. My fave mother’s day is just hanging out and shopping with my mom. Mine was when my sister had her first child and we made it a very fun and happy “1st” mothers day for her with flowers and candy and cards. My favorite Mother’s Day would have to be my FIRST Mother’s Day! I was just so excited to be able to get to enjoy being a mother for the first time!! I’m still very grateful for it today, but that feeling I got on my very first Mother’s Day was just something special! I love it when my children would make me a Mother’s Day card. My favorite mother’s day was the last one I spent with my mom. I took her out to brunch and planted her porch planters with bright flowers. Taking my mom to the resturant of her choosing. My favorite Mothers Day was when I was pregnant with my daughter. It was then that I understood the true meaning of the holiday. i love when my hubby and son make me breakfast in bed and we spend the day hanging out! My favorite Mother’s Day was when my husband and kids put together this really great breakfast parfait for me. Honestly, I couldn’t believe they had made it themselves it was so professional looking. It tasted as good as it looked. Of course, I was greeted by the mess in the kitchen when I finally came downstairs but it was worth it. My favorite was the Mother’s Day I found out I was pregnant with our third. entry 4 Go to my page to see it, the link won’t copy/paste to your site today. Very strange indeed. Go to my page to see it, the link won’t copy/paste to your site today. Very strange indeed. my favorite Mother’s Day was 2009 when I drove with my sister to AZ (a 9 hour drive) and surprised our mom!! My favorite Mother’s Day is just being with my family and spending time together. My first Mothers Day was a bust (men!) but last year was nice with breakfast and just a great day spent with the family. favorite mothers day: picnic in the rose garden and swapped favorite stories of childhood. I don’t actually have a favorite Mother’s Day. I just love being able to give my mom some recognition for being such a great mom and I know she appreciates it. My favorite Mother’s Day was when my son was born. He was born on Friday and Mother’s Day was Sunday. It is nice having his birthday May 11th… it falls on Mother’s Day some years. I’ve only had 2 Mother’s Days so far; and I loved both! My husband spoiled me with a pedicure and made me a nice dinner. My first Mother’s Day was the best. Just knowing that my dream had come true and I now had this wonderful son to love and care for the rest of my life. Every one since has been wonderful, too. My favorite Mother’s Day was my very first one when I was still pregnant! I felt so special and was so excited about the change that was to come! Every Mother’s Day is special to me, because of my son, daughter and husband. This coming Mother’s day will be a sad one though. I lost my Mom in June 2009, so it will be my first one without her. My favorite Mother’s day = going mushroom hunting. One time we went Morel hunting and hit the (haha) motherlode on Mother’s day weekend. Now we try to go hunting, and hope to come home and bbq some steaks and have sauteed morels and asparagus and good bread w/real butter. A few years ago when I flew in to see my mom. Mine was when hubby and daughter suprised me with Waffles in bed. It was great! My boys are still very young (4 and 1) so I havent had any real memorable Mothers Day’s myself. My favorite thing we did for my Mom was take her to Disney World for her first time a couple years ago!!! She loved it!!! Last year was my first mother’s day. My husband had moved 300 miles away to start a new job and left me to pack up the house and get it sold. I had a two month old and was still recovering from my c-section. I went to my mom’s house to celebrate and about 2:00 the door rang and my sweet hubby had driven 5 hours after a 24 shift at the Fire Station to surprise me. It was a great Mother’s day! I don’t think I have a favorite. I remember some really nice ones with my mother, and every one of them with my children has its own piece of joyful memory, but nothing has been specifically memorable. My favorite would have to be my 1st mother’s day, 3 years ago! I got flowers and cards and it was just really nice, thanks! My favorite Mother’s Day was the one after my mom’s cancer went into remission! 🙂 We were VERY thankful for her that day. She got extra extra love that day! My favorite mom’s day was a few years ago when my sister and I took my mom out to eat. It was peaceful! My favorite Mother’s Day was about 10 years ago. We had planned a barbecue with my children because the weather was so nice and it started snowing. We had the barbecue anyway and ate outdoors in the snow-such fun! Probably last year. I can’t ever seem to pick out the best present for my mom, but last year I got her a live orchid and she absolutely loved it. She recently planted it in her yard and it is still as gorgeous as the day I bought it. My favorite Mother’s Day was last year when my son brought me breakfast in bed. He ‘helped’ make it. He was only 4 at the time. Last year my daughter gave me “spa” treatments. She was so cute and loving! My favorite mothers day was when my daughter made me a card at school and in inside it there was a packet of tea. My favorite Mother’s Day was last year. We only went to Applebees for Dinner, but that was because I had gotten home from the hospital the day before from giving birth to our second son. So it was my first Mother’s Day being the mom of two. When I was little, I made breakfast in bed for my mom! Not sure it was my “favorite” but on my 1st Mother’s day, hubby and a pal (whose wife was also having her 1st) went golfing ALL day. Their take was so that we could “enjoy being moms”. Thank goodness they’ve both grown up in the last 27 years!!! My favorite Mother’s Day was when my daughter was in preschool at age 4 and made me a beautiful hand-print card with a poem in it. That was my 1st Mother’s Day gift. My fav mothers day was last year… just hanging out with my two little guys. My favorite Mother’s Day was actually my mom’s when I was 12. I coordinated my siblings into a top-secret-breakfast-in-bed-making-unit. We actually surprised her. None of the feigned surprise from previous years. My best Mother’s Day….hmmmm….I’ve had a few. I think this one will be pretty special as it’s the first year with my Mom as a breast cancer survivor. Lovin her! My favorite mothers day we went to a really fancy brunch and had mimosas! My favorite mothers day was the first one I spent as an actual mother. Nothing compares to that feeling. My favorite Mother’s Day would have to be my first one with my daughter. My favorite Mother’s day was when my sisters, brother and I all took my mother out to a nice dinner. It was nice to get the whole family together. That would have to be the year my husband thought he’d be super thoughful and get me something I really needed! Scissors. yes, he bought me scissors. Worst gift I’ve ever received but I have to give him credit for trying! And it’s a Mothers Day I’ll never forget! My favorite mother’s day was when we just went to the park for the day and had a picnic. When I was 6 or 7, I made a beautiful handmade card with an original poem. My mom loved it, still has it, and that Mother’s Day was special because I was proud of what I gave her and I know it meaned a lot to her. Thank you for the giveaway. My favorite mothers day is when my kids brought me handmade cards and homemade gifts from school. My first Mother’s Day with my first of four son’s handprints is priceless! When my daughter told me she was pregnant! the first mothers day right after my daughter was born was the best mother day ever! Actually, my favorite Mother’s Day changes every year and is usually the Mother’s Day that just passed. As my adult children grow older and my grandchildren are born … as I see my teen and my little boy grow and become more precious and generous … every year is a celebration of the new family we’ve become throughout the previous year. My favorite Mother’s Day was my first. I waited a long time to be a mom, and it was so very special to me. My favorite Mother’s Day was the year I took Mom to Disney World! Last year. My granddaughter and I made breakfast, lunch, dinner and a gluten free chocolate cake to honor her mom and my darling daughter on her 10th Mother’s Day. My favorite Mother’s Day was my first almost a Mother Mother’s Day. I was overdue and so anticipating my new baby. My favorite Mother’s Day was my first Mother’s Day. I looked down at our son and realized how lucky I am to be his mom. My favorite Mother’s Day is everyday! My favorite was the day after I gave birth to my oldest son, it was mother’s day. He was in the NICU and the nurse brought me a card with his footprints in it! My favorite Mother’s Day was one of the first that my chldren cooked and served me in bed. On the menu was Drinks – water or milk, cereal with milk and sugar, Oreo cokies. It was precious. The breakfasts improved through ther years as I taught them to cook! My favorite Mother’s Day was hearing my 2 yr. old granddaughter say,”Happy Birthday” to her mother on Mother’s Day. She couldn’t say “Happy Mother’s Day yet”. My favorite Mother’s Day is going to be this one. We will be all together and not all the stress we’ve had for the last few years. My kids will make me cards and bring me breakfast in bed and we’ll go to church to thank God for all he has blessed us with. My favorite mothers day is when I made my mom breakfast in bed and then took her to a day at the spa. I like the ones when we combine all the may birthdays and mothers day. It turns out to be a huge party. We don’t celebrate Mother’s Day because we don’t have the money. But one year I had off work and my husband cooked for me. It was such a nice treat…and it was great too@! Every Mother’s Day is my fav..being a mom is a blessing!! My favorite Mother’s Day memory is the first one after my divorce. We were poor as church mice — my three kids told me to stay in bed because they were fixing me something special. After awhile they came in with top ramen, Rice Krispie treats, and dandelions in a vase. Sweet! I am not a mother, nor do I have one anymore, therefore, what I like todo for Mother’s Day is volunteer to cover someone elses shift at work so that tey can enjoy their special holiday. My favorite Mother’s Day was the 1st one I had after my oldest son was born. My favorite Mothers Day was when my son came home from his 2nd tour in Iraq on Mothers Day.Best present in the whole world! I think my fave was my very first one. My favorite Mother’s Day will be this Mother’s Day because it will be my first as a mother. My son will be 8 months old. My 2 favorite Mother’s days were: MY very 1st Mother’s day as a new Mom back in 1977, and Mother’s day 2 years ago when we celebrated my Dtr-in-law’s very 1st Mother’s day! On my favorite Mother’s Day, my family took me to the park for a picnic that they fixed themselves. From when I was a teen I took my mom out for dinner & a movie – always York Steak house. Since we are so far apart now, we miss it. Two years ago was my favorite Mother’s Day. Myself, my mother, and my grandmother were able to spend the day together, and just eating breakfast together was great. My favorite Mother’s day was last year when my kids cooked dinner for me and got me flowers. My favorite mothers day was when my kids were born!! My favorite Mothers day, was 3 years ago after over 30 years my mom got to have mothers day with all 5 of her children and most of her grandchildren. She was beaming from ear to ear all day! My favorite Mother’s Day was a few years ago, when my mom and I went to NYC to celebrate. We had a blast! My favorite Mothers Day was when my daughter was 5 and made me a card that said, “Happy Mommy’s Day”. Her reasoning was that I was fun so I was a “mommy”, not a “mother”. My favorite was my first. I got an adorable heart shaped pendant with my daughter’s pic engraved on it. I got one 4 yrs. later that has my other daughter on it. I wear them daily. Thank you!! My favorite Mother’s Day is when we took our mom out to eat and one of her best friends walked in with a bouquet of roses! My favorite Mother’s Day was a simple at home day with my Husband and Children spoiling me. This does not happen very often and I truly appreciate the little things in life. They let me sleep in (probably the first time in 17 years.) Made ALL the meals that day. And even cleaned up the mess. I will never forget the homemade cards and all the extra attention I got. Really felt special. My favorite was having a big Mothers Day Dinner for the moms in the family. My mom, my daughter, my mother in law and myself. I miss those dinners now because I lost my mom and mother in law but my daughter and myself will treat each other with spending time together. Thanks for a great giveaway! If I win I will use it on my daughter. My favorite mother’s day was when I was 11 years old. It was the first year after my parents’ divorce and the first year I was able to use my own money to buy my mom something for mother’s day. I totally floored her by having a single read rose in this twisted clear glass bud vase delivered to her. It was great. I subscribe via google reader as Angie Lilly/14earth. One year my father was away on Mother’s Day, so I invited my mother up to my house for the weekend. We looked for houses for me that Saturday, and the next day we went to church and had a wonderful Mother’s Day meal out. My first Mothers Day with each of my children were by far my favorite. My fav mother’s day was the year my dad and me and my siblings surprised my mom with a brand new car. The kids were in charge of keeping mom occupied until dad came in and asked us to step outside. Once outside, there was a brand new 1989 Bonneville in black with a HUGE red bow on the hood! Mom’s face was priceless and I will never forget! my favorite mother’s day so far was last year. i didn’t have to cook or clean or do anything, just relax with hubby! My favorite Mother’s Day was the first one after the birth of my daughter. Growing up we always wore red roses to to church to symbolize that our mothers were living. A person who had lost their mom wore white. At our little church each member would tell something nice about their moms. I remember my grandfather talking of his own mother who had died many years before. He cried as he talked about how kind she was and how she worked hard to make sure they were all clothed and fed. It was apparent that even though she had been gone for so long that he still loved and longed for his mom. That made a lasting impression on me and made me want to honor my own mom and to try to be a good mother if/when my time came. Moms bring us into this world and shape how we see it. I am thankful for my own mother and the grandmothers whom I never met for shaping my parents into good people. My favorite mother’s day was the first after my first child was born. I felt like I was part of a whole different world and it was nice to be recognized for the hard parts, even if it was just for a day! One year I had just found out I was pregnant with our first and I gave my Mom a box on Mothers Day and in it was a rattle. It took her a minute to figure out why I gave her a rattle but when she did she had a smile on her face. Mine is when I bought my mom a HUGE Card! My favorite Mother’s Day is when my 8 y/o daughter had to help my 12 y/o daughter make me breakfast. The 8 y/o had to make the eggs, because the 12 y/o was clueless. The 12 y/o looked up on the internet how to make French toast, unfortunately she didn’t cook it long enough…soggy. So I had cold eggs (those were made about 15 minutes earlier – internet checking time), soggy French Toast, and orange juice with something floating in the glass. But I loved them for doing it for me. My favorite Mothers Day was when both of my kids brought me home flowers in a pot that they decorated in school. They were so proud of their work and it made me happy to see them that way! every year I get to spend with my kids! I think this year will be my favorite because we are taking my mom to see Simon & Garfunkel! My favorite Mother’s Day was my first. My husband sent me to a spa for the day to pamper myself, and took care of our little one for the entire day. I came home to a clean house, beautiful family, and the best dinner one could ask for. My grandmother passed away in 1995, and I’ll never forget the last one with her. I didn’t know it would be the last one, but she seemed so happy and content. She was really sick, but she put on a good face for all of us. my favorite Mother’s Day was making homemade food and a card for my mom. My favorite Mother’s Day was a few years ago when I made my Mom a scrapbook of her children and grandchildren. Mom has Alzheimer’s at 62 and I hope she can always go back and read and look at our pictures and remember. She hasn’t gotten so far that she doesn’t know her children or grands yet, but I fear that day will be sooner than we all hoped. My favorite Mother’s Day was the first one I ever had. My daughter is now 36 years old, but I can remember waking up on my very firt Mother’s Day and thinking to myself “I’m really somebody’s Mom, and can now have this day celebrated because of that fact!” My “little girl” is now the Mommy to two beautiful little girls of her own, and I enjoy so much seeing her enjoy Mother’s Day! My favorite Mother’s Day is spending time with my mother & my sister and having the whole family together for a great Sunday brunch. Thanks for the giveaway! My favorite Mother’s Day would have to be the one when I was around seven or eight and my dad surprised my mom with the gift a lifetime – a new car – out of the blue. I’ll never forget the shock and elation on her face, and all of our excitement as we went for our first family road trip (to our favorite restaurant) to celebrate her big day. Thanks for the great giveaway! My best mother’s day was when we all got together with my mom and had a nice picnic and went fishing. My best Mother’s day was my first Mother’s day with my daughter. My favorite Mother’s Day was my first one! We had just adopted our daughter and it was such a special day with a sweet little newborn girl! We waited so long to be parents and now this sweet little girl had come to our home. I was finally a mom! I had very tender feelings that Mother’s Day! When all my kids surprised me with cards that they made. My Best Mother’s Day is every year, being able celebrate that my 4 children are healthy, productive, caring adults! Mahalo (Thank-You) for this opportunity! I really haven’t had a fave mother’s day yet, how sad is that? It’s just my fave when my kids spend the day with me and if I don’t have to cook dinner that’s awesome! My favorite Mother’s Day was last year—it was my first one, and a long awaited one at that!